Oktoberfest isn't just a yearly celebration, it's a state of mind! Plop this sucker down on the table and watch a regular old get-together become a boisterous beer-fueled bonanza. With hours of cold brew, the party don't stop until the very last drop. 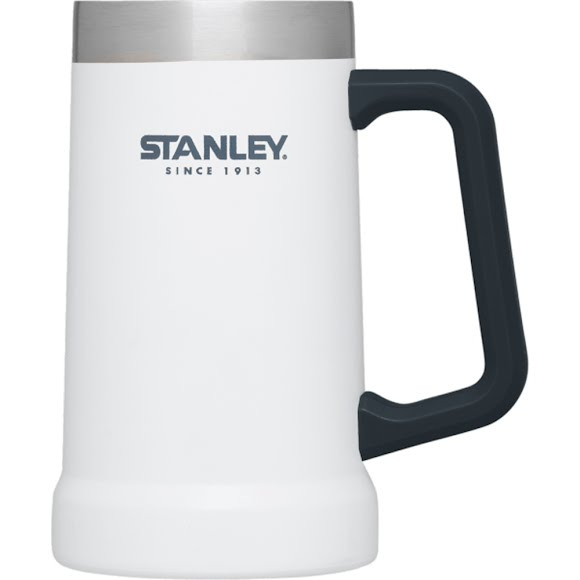 Drink up, me hearties and thank Stanley. Oktoberfest isn&apos;t just a yearly celebration, it&apos;s a state of mind! Plop this sucker down on the table and watch a regular old get-together become a boisterous beer-fueled bonanza. With hours of cold brew, the party don&apos;t stop until the very last drop. Drink up, me hearties and thank Stanley . Measurements 6.77" x 3.94" x 5.91"